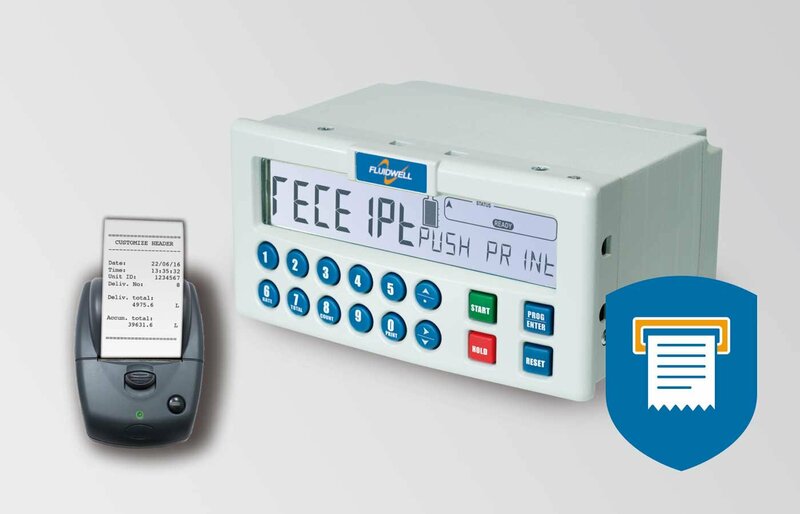 The N413 batch controller distinguishes itself by its user-friendly features: Numerical keypad, easy ticket printing, clear programming menu structure, easy to read display and simple mounting enclosure. 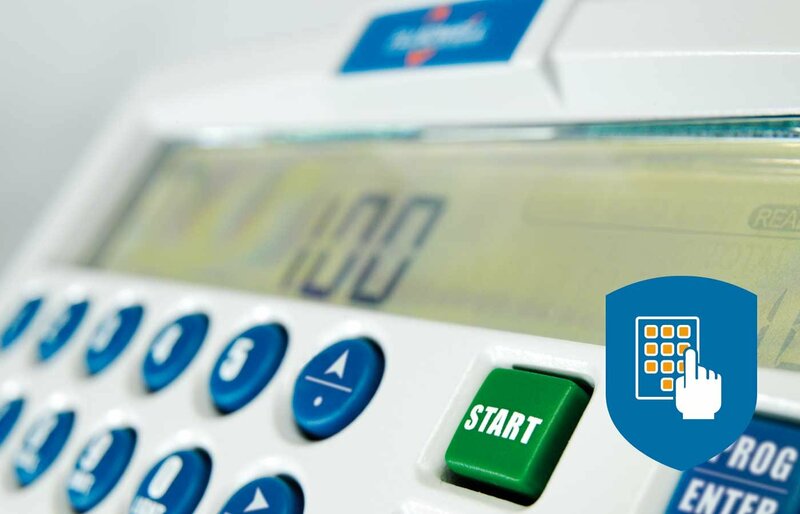 The numerical keypad allows simple and fast changing of the preset batch quantity. End-of-batch tickets can be printed automatically, manually or after a notification. Multiple reprints are easily executed on demand. Even in the unexpected event of an uncompleted batch, is it possible to print a ticket. Fluidwell stands for simplicity and reliability which is now available in the N413. Receipt printing function after each batch. 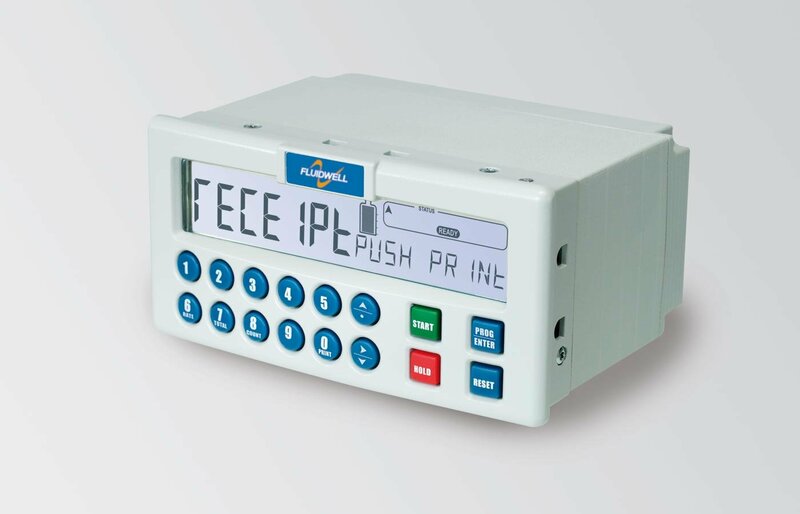 Save time and cost with the easy to operate numerical keypad. Easy installation with the rugged aluminum DIN-size panel mount enclosure. 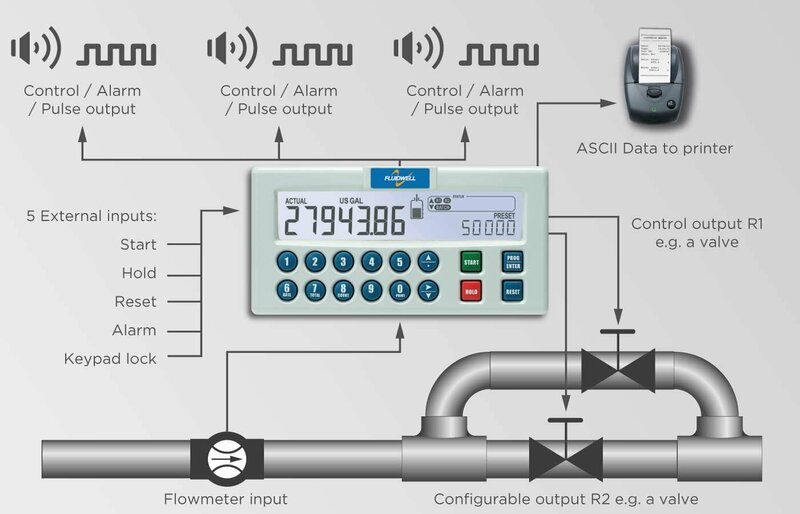 7 large digits (14mm, 0.56") for actual value, flow rate and total. 10 smaller digits (8mm, 0.3") for preset value, accumulated total and batch count. Aluminum IP67 (NEMA Type4X) DIN front panel of 144 x 72mm (5.67” x 2.83”). Various handheld and panel printers and other accessories are available for this product. 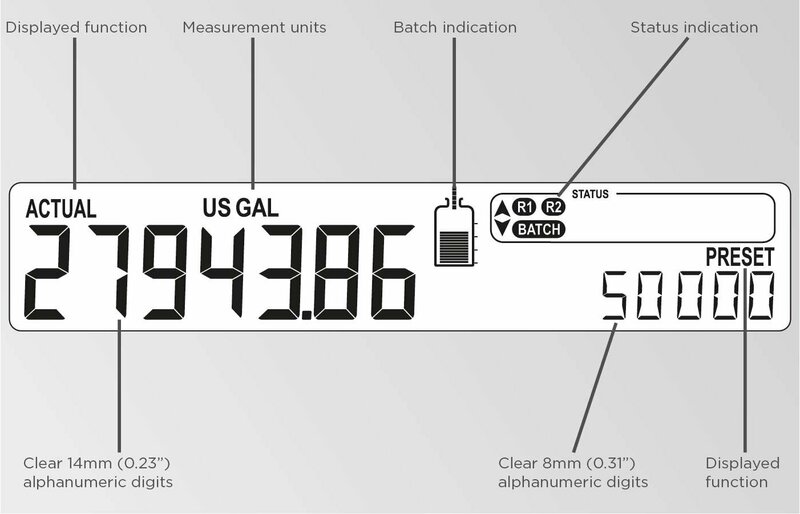 Accurate batching or filling of liquids where the batch size changes frequently and easy ticket printing on location is required. 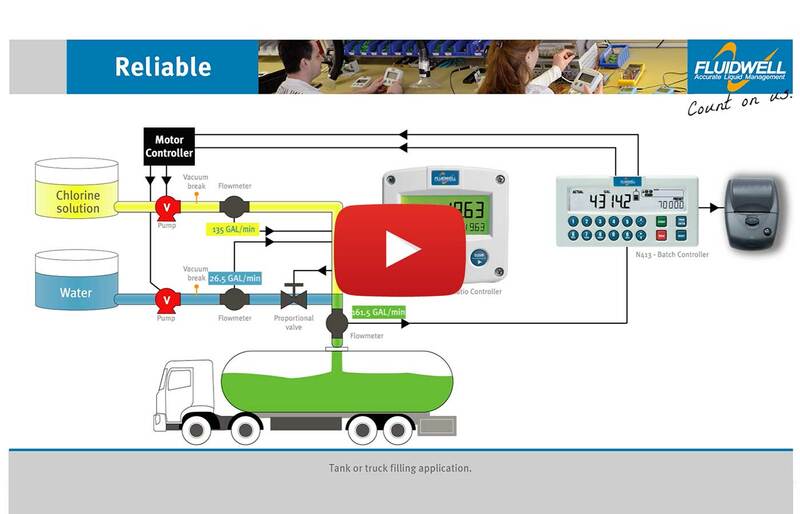 The N-Series offers the perfect solution for batch control applications where a user-friendly instrument is required. 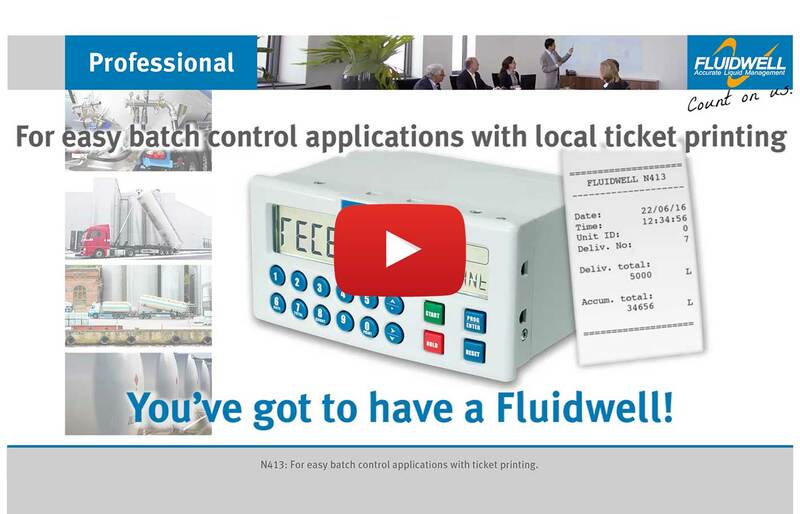 Whether you focus on its clear display information, the very easy to operate numerical keypad or the easy menu-driven configuration structure, you've got to have a Fluidwell. Remote control: start / hold / resume/ keypad lock / external alarm. Function: Scaled pulse output according to accumulated or batched total. Type: One configurable and field replaceable, very heavy duty, mechanical relay output (NO-NC) and three configurable transistor outputs. Function: Switched in case of a no-flow, external or system alarm. Function: Relay 1 is fixed as the main batch control relay. Relay 2 and the transistor outputs can be configured as 1- or 2-stage batch control output. Type: Two field replaceable, very heavy duty, mechanical relay outputs (NO-NC) and three configurable transistor outputs. 8.2 – 12 – 24V DC. Function: Send a “Print receipt” command after every batch. Interface: RS232 or RS485 2-wire.